Bike lanes, sidewalks and street paving have slipped back into the municipality’s budget priorities for 2019. On Friday, the budget committee approved $21 million in reserve funding for a host of infrastructure projects axed from the original proposed 2019-20 capital budget. Council deferred discussion on the capital budget twice since December, after it was revealed the municipality could not afford to fund large parts of its Integrated Mobility Plan — a strategy to lure residents out of their cars and into alternative forms of transportation. The $21.8 million in deferred projects would now be funded through a one-time dip into the municipality’s reserve funds, according to a report prepared by municipal staff. 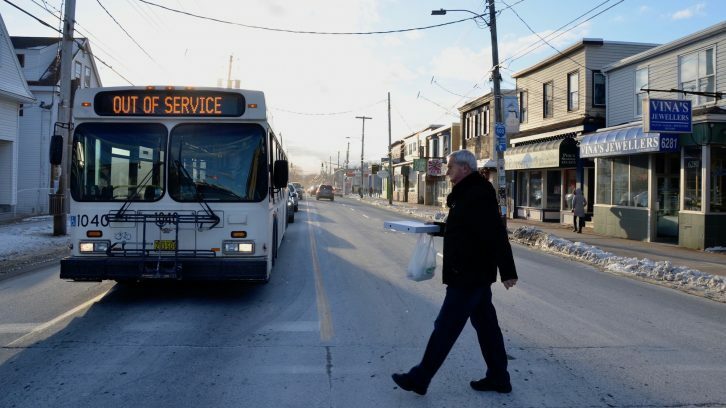 $3.5 million for bus lanes on Bayers Road. Staff anticipate an operating budget surplus of over $14 million for the 2018-19 year, $11 million of which would go towards the list of approved projects. The remaining $10 million will come from previously set-aside reserve money. Not all councillors were convinced the funding plan would be a safe move for the municipality. Mayor Mike Savage was concerned they had not been given enough information about the long-term impacts of this one-time expenditure, including its impact on residents’ tax bills. Chief financial officer Jane Fraser assured council the plan would only draw money out of the reserve funds and wouldn’t impact next year’s taxes. Still, several councillors questioned how many of the 11 projects could be completed within the year. They also wondered if other projects, like street paving and bus lanes, would affect communities outside of the peninsula. It’s unclear how many of the projects can be completed, but staff will bring a more comprehensive breakdown to the final budget discussion at regional council in April.